A set of 6 gemstone merkaba stars, including rose quartz, clear quartz, labradorite, fluorite, hematite, and amethyst. The Merkaba is a combination of two star tetrahedrons, one pointing up to the heavens, channeling energy down from the universe, and one pointing downwards, drawing energy up from the earth beneath us. 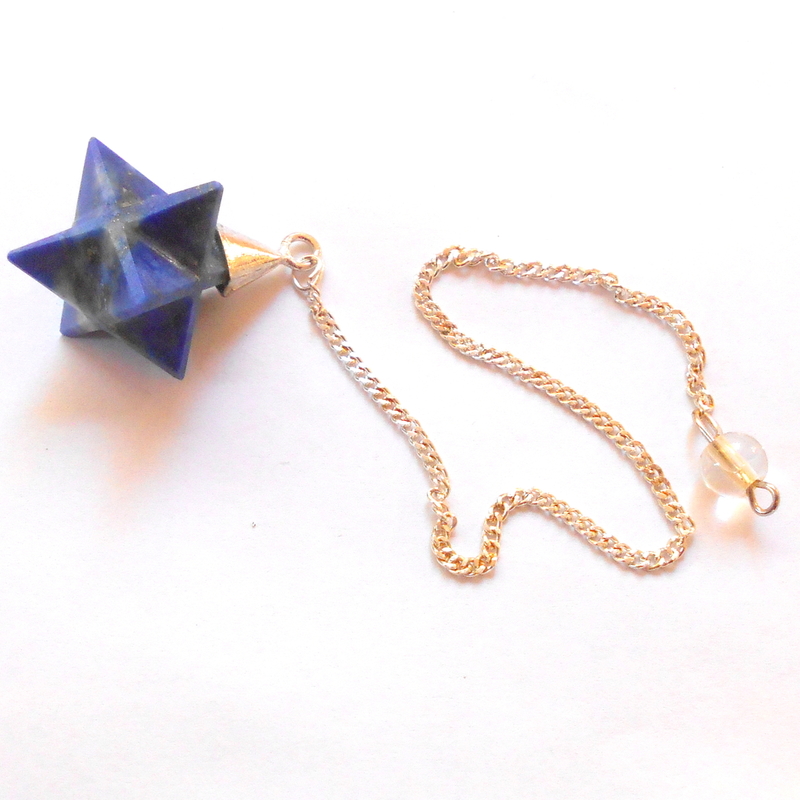 The Merkaba is a divination tool used to connect with and reach those in tune with the higher realms. "Mer" means Light. "Ka" means Spirit. "Ba" means Body. Mer-Ka-Ba means the spirit and body surrounded by counter-rotating fields of light and spirals of energy which transport the spirit from one dimension to another. Merkabah, also spelled Merkaba, is a divination tool used to connect with and reach those in tune with the higher realms. 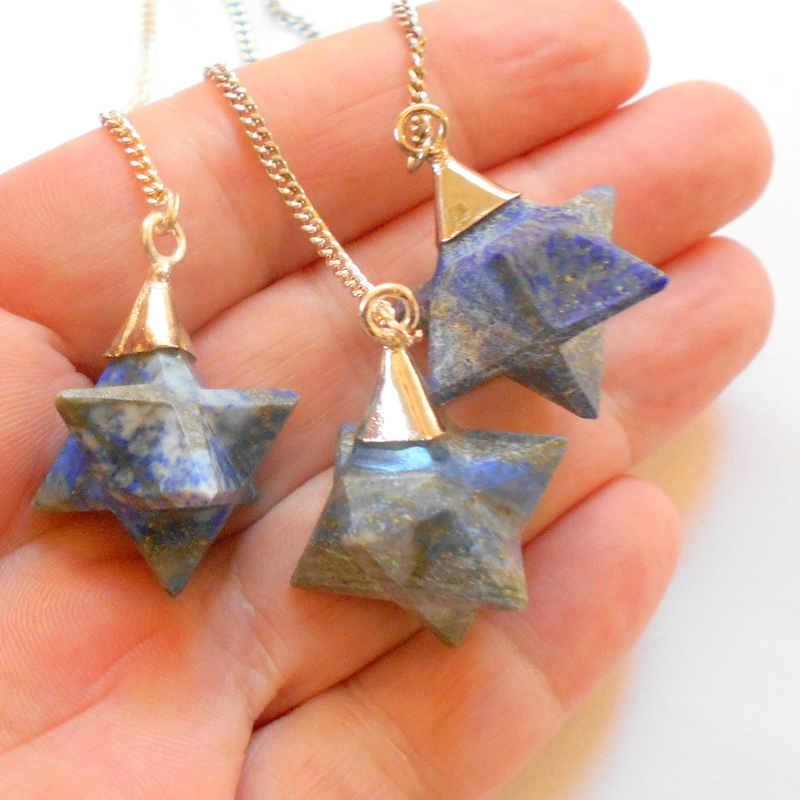 Merkaba stars range from approximately 1/2 to 5/8 inch each, a typical set shown. The amethyst and fluorite merkabas have natural color variation.